Ilana Siegal (AS ’17) is thrilled to report that she will be joining medical school this summer. She is currently in her final semester at the Case Western Reserve University where she is completing her MA in Bioethics and Medical Humanities. In addition to the graduate coursework, the program also includes clinical ethics rotations and a capstone research project. Ilana was also a teaching assistant for an undergraduate medical humanities course in the fall semester and is a research assistant this spring. She plans to participate in a short-term study abroad to Amsterdam in May to take a bioethics course focusing on women’s and public health. While at Syracuse University, Ilana distinguished herself as an outstanding student, earning numerous awards and recognitions that included being named a Remembrance Scholar, a Founder’s scholar and a Bonham Scholar of the Year (2017). 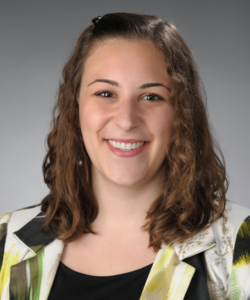 She pursued a major in International Relations and completed an Honors capstone project that examined the economic, health and psychological impacts of conflict using the Israeli-Palestinian conflict as a case study. Ilana fondly reflects on her experience in the Honors program. Ilana has some advice for current and future Honors students. We wish Ilana the very best as she embarks on this new and exciting phase of her academic/career journey!